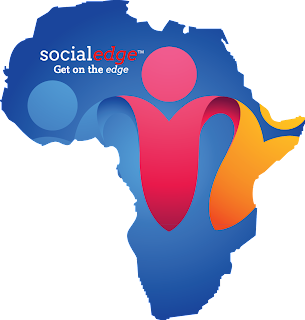 Kenyan Marketer: Social Edge Africa Set To Launch Social Media Clubs In Kenya. Why is Kenyatta University not included in the list.Which criteria was used to select the universities.Kenyatta university is a buzzing ICT hub and has wide presence on social media as compared to other universities as can be deduced from it's face book page, "It's Only in K.U." This is the pilot phase which will take place in the month of October. In November we shall be rolling this programme to all the other universities. I agree that K.U. has a good presence on social media and we shall be setting up there too. Thank you. Meanwhile start using #BeASocialPro on guys and companies messing, doing things the wrong way hence annoying you, brands that don't respond to your inquiries and those with inactive twitter handles etc. On the contrary give #SocialPro for those doing a good job. Guys who clearly understand social etiquette, personal branding, those who respond in real time and brands that give you amazing customer experience on twitter! Do so for those who share useful links with others and people that share useful information on what's happening! I've a mission that I'm just now working on, and I've been on the glance out for such information.